These stylish peg mounts provides 360 degrees adjust-ability so they can be used to position the peg closer to the rider or further away. It's 3-1/4" arm gives an incredible 6-1/2" range of adjustment. 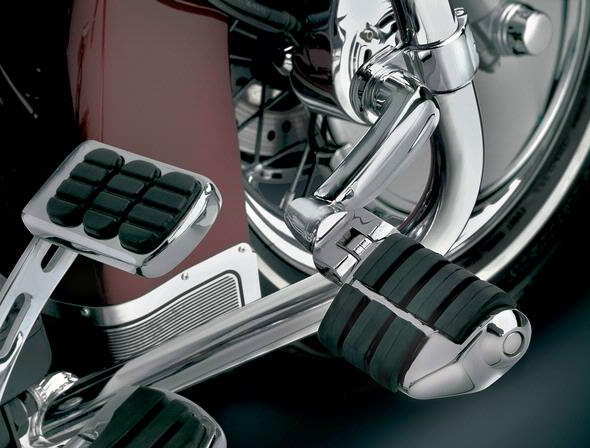 Incorporating an innovative locking device, this mount is guaranteed not to slip. Includes 1 1/4" Magnum Quick Clamps. 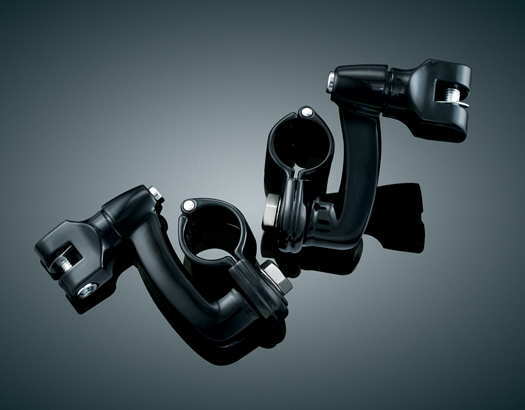 These Pegs are compatible with all Kuryakyn Male Mount Pegs, shown below under related items. Most Engine guards are 1 1/4" or 1 1/2". To measure, just put a crescent wrench across the bar and then measure the opening of the crescent wrench. Do not guess on the size.